As we all know both carrot and spinach are good for our health. 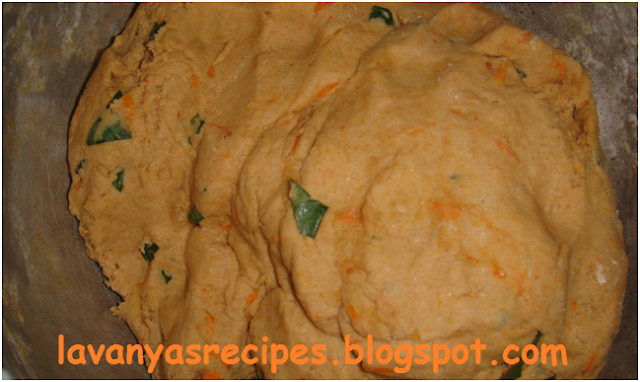 Carrot is rich in vitamin A and spinach is rich in iron. I tried combining both together and made a healthy paratha. 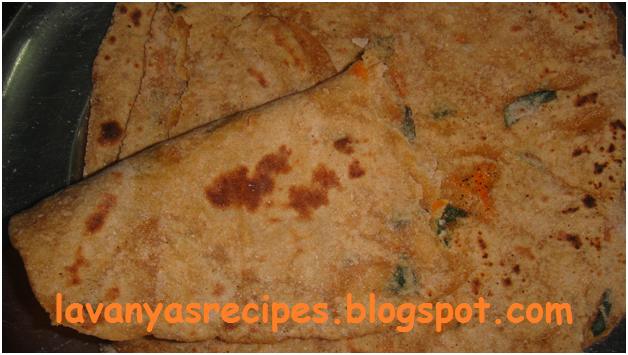 This is a simple and easy to make paratha. Wash and finely chop the spinach. 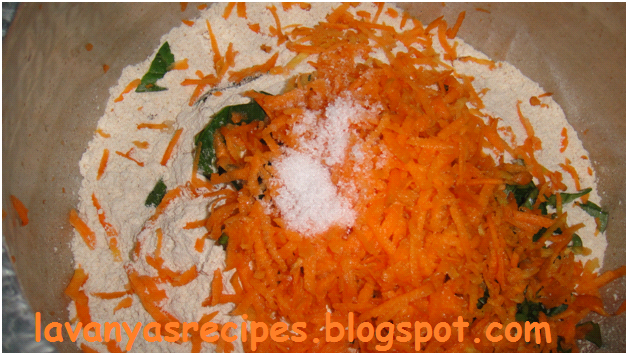 In a large bowl, add wheat flour, grated carrot, chopped spinach, chilli powder and salt. Mix well. Add water and make a soft and firm dough. Keep the dough aside for 30 minutes. Take a small ball of dough and press into a thin round paratha. Heat the griddle and cook the paratha with a spoon of oil. 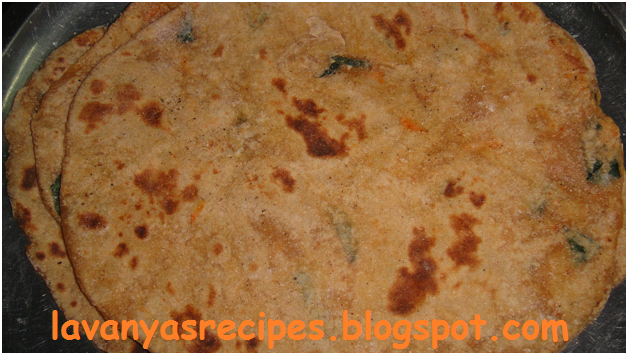 Carrot spinach paratha is ready to be served. Serve the carrot spinach paratha with dal/any gravy of your choice. my mom would make this often.. very healthy stuff! good tasty and healthy paratha. i often mix and match paratha ingredients.. Awesome recipe. The parathas look so great!! Loved your idea of adding carrot to the parantha. Will try it. This is very different and unique recipe.